Joe Weisenthal, chief editor at Business Insider has article after article opposing austerity for governments, especially when GDP is dropping. Well, Italy's GDP is going to hell in a handbasket and Joe is over there reporting that low borrowing costs because of policies that kill the GDP are good. Joe Weisenthal needs to make up his damn mind as to whether austerity in the face of GDP is bad or if growing the national economy is better. It is better, but Joe seems to have changed his mind against that. Austerity is hurting the UK and Italy, and it could throw the world into a worldwide recession. Wake up people. Italians hate the unelected banker technocrat, Monti, who instituted the austerity which is NOT WORKNG. 1. Percolation, or supply side economics. Percolation doesn't work in a credit depression. Banks won't lend, and their easy money of the Roaring 20's turned to fear to lend in the 1930's. Why didn't they just lend with better underwriting in the Roaring 20's? 2. Speculation in stock and commodity futures markets to run wild. 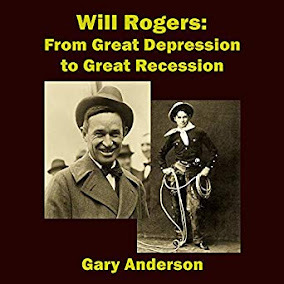 Andrew Mellon was secretary of the treasury throughout the entire Roaring 20's until 1932. He was popular as long as the easy money flowed. Ultimately he was not a popular man, allowing all manner of speculation and bank lending easy money until it all crashed in 1929. Since the banks outside the Federal reserve were allowed to fail like the shadow banks of our era that offered bogus second or piggyback mortgages, the stock market crashed in 1929. Mellon wanted the people to pay for the bankers' mistakes, just like today! They make money speculating, using supply side economics to make easy loans. 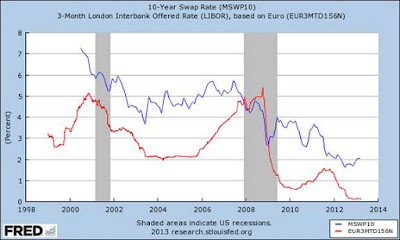 The result is contagion and then the bankers want austerity from everyone else. It was the failure of the Bank of the United States, which preyed on Jewish immigrants, that started the contagion. And it was started by second mortgages gone bad! The more things change the more things remain the same.